Organizations have been trying to improve diversity in the workplace for decades — with little success. The most common techniques, such as one-time sensitivity trainings, haven’t worked. The numbers of women and people of color in leadership roles are still staggeringly low across industries. Also well documented are the high rates of turnover for women, especially women of color. We need to try some new techniques, starting with making systemic changes to the ways businesses are run. These don’t have to be big changes — in fact, even small tweaks to your basic systems (hiring, promotions, compensation) can lead to big changes. For many companies, the focus so far has been on making small adjustments to how performance evaluations are done. This is important but insufficient, because evaluations are inherently backward-looking: They can measure only the assignments someone has already gotten. And not all assignments are equal. In every organization, in every field, there are multiple types. Some can set you up for promotion and skyrocket you to the top of your company — we call them glamour work. Other assignments are necessary but unsung. We call them office housework. Some are actual housework — getting the coffee for the morning stand-up, or cleaning up after a lunch meeting — and some are the unsung operational or administrative work that keeps the company rolling along. Studies, including our new research, show that women and people of color do more office housework and have less access to glamour work than white men do. If leaders are going to make a dent in their organizations’ diversity problems, they have to address this disparity. In this article, we’ll explain how the assignments gap arises, what managers can do about it, and how fixing the gap can improve the engagement and retention of talented employees. Glamour work gets you noticed by higher-ups, gives you the opportunity to stretch your skills with a new challenge, and can lead to your next promotion. It’s the project for a major client, the opportunity to build out a new team, or the chance to represent the company at an industry conference. Office housework happens outside of the spotlight. Some is administrative work that keeps things moving forward, like taking notes or finding a time everyone can meet. Some is emotional labor (“He’s upset — fix it.”). Some is work that’s important but undervalued, like initiating new processes or keeping track of contracts. This kind of assignment has to get done by someone, but it isn’t going to make that person’s career. It might also be a juicy-sounding assignment like chairing a diversity or company culture committee. While these initiatives soundimpressive, they’re usually not tied to revenue goals, so they are far less likely to result in a promotion than, say, chairing an innovation or digital transformation committee. The disparities in who does office housework and who does glamour work exist across industries. For example, a study of academia, by Cassandra Guarino of UC Riverside and Victor Borden of Indiana University, found that female professors do more committee service work and less research than male professors do; while committee work is important, no one gets tenure for it. Our own research focused on engineering and law. We developed a tool, called the Workplace Experiences Survey, that tests for racial and gender bias in business systems, such as assignments. In a national study, our Center for WorkLife Law and the Society of Women Engineersgave an early version of the survey to over 3,000 engineers. It found that women were 29% more likely than white men to report doing more office housework than their colleagues. The gaps with glamour work, too, are large. Female engineers of color were 35% less likely than white men to report having equal access to desirable assignments; white women were 20% less likely. For lawyers, the findings were remarkably similar: Women of color were almost 30% less likely than white men to say they had equal opportunity to high-quality assignments, and white women were 18% less likely. This assignments gap exists for a number of interconnected reasons. One is what researchers call prescriptive stereotypes, which dictate how Americans thinks a group of people should behave — for example, women should be modest, helpful, and “communal.” They are supposed to be self-effacing team players who put the company ahead of their individual ambitions. Prescriptive stereotypes also operate by race. Most obviously, Asian Americans as supposed to be deferential worker bees. But our research suggests that not just women but all people of color have been invited into professional workplaces but expected to play a very specific role there: women of all races report higher levels of office housework, and both women and people of color (of both sexes) report less access to the glamour work. Moreover, because of these stereotypes, women and people of color are under social pressures to volunteer for office housework activities. They also risk pushback if they don’t take on these tasks (“She’s just not a team player” or “She thinks highly of herself, doesn’t she?”). And women are more likely to be assignedoffice housework because assigners tend to believe that women will accept the task. White men are much less likely to be asked to do the office housework, and they experience less backlash if they decline to do it or simply do it poorly. Men can also get away with intentionally doing a bad job at a low-value task to avoid being asked to do it again. Because of prescriptive stereotypes, however, it’s riskier for women to employ this tactic of strategic sloppiness. To address these issues, managers first need to identify what the office housework is in their department and who is doing it. Make a list of regularly recurring housework tasks — setting up conference call dial-in information, scheduling meetings, ordering food. Send your team members a short survey asking them how often they do each task and how much of their time it takes up (see our sample survey for guidance). Analyze the survey to determine (1) what the main office housework tasks are on your team and (2) whether anyone is doing more than their fair share. With this information, you can start ensuring a more equitable distribution of the office housework. Don’t ask for volunteers when assigning these tasks, whether they’re housework (ordering food, setting up meetings) or mundane projects (leading the committee to decorate the office lobby). As discussed above, people can be under social pressure to volunteer. Instead, establish a system for making sure everyone takes a turn at these dull jobs. It doesn’t really matter which system you choose — whether it’s alphabetical by last name or chronological by astrological sign — as long as people take turns. Everyone on the team should do a task before someone does it twice. Next, hold everyone accountable for the tasks they’ve been assigned — even small ones. If there’s someone on your team who never gets asked to do mundane tasks because he’s “just not a details guy,” that’s a performance problem. It should be addressed like any other performance issue. Conversely, something we hear often is, “I ask women to plan the parties because they’re better at it” or “I ask women to do those kinds of things because they’re more organized.” This kind of thinking can lead to a toxic environment where women are expected to take on and excel at unrewarding tasks, while men’s time is protected for more remunerative work. Some managers may balk at our advice to give everyone, including their stars, the occasional dull assignment or rote task. Isn’t their time too valuable for that? they may say. We have two responses: First, if you have three top stars, and one of them is a woman, have you checked to make sure she’s not the one who always gets coffee for the group? Make sure male and female stars are doing the same amount of office housework. Second, it’s important training for your stars to know how to do the routine work. Stars will be even more effective if they know the full scope of work that goes into a project. If you “invisabilize” some parts of projects, stars won’t be able to manage effectively when they get into leadership. For new glamour work assignments, consider all eligible employees, not just the ones who come to mind first or who ask to do it. Formalize the pool of employees with the requisite skills by writing it down. Establish a rotation of plum assignments with the pool. While your rotation system for office housework can be somewhat arbitrary, your rotation for more important assignments should be strategic; you’ll want to match the job to the person much more carefully. But you should still be methodical about how you hand out these tasks. Some companies have instituted formal systems where an “assignments czar” is in charge of doling them out, monitoring peoples’ workloads, and making sure employees are getting equal opportunities. 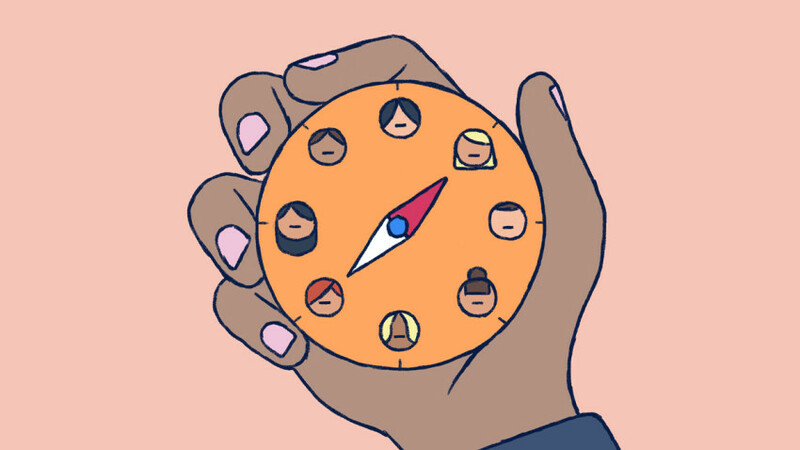 At the organizational level, senior leaders should encourage the managers they lead to work toward a more equitable distribution of assignments — not just for the business benefits of diversity but also for the company’s overall health. If you have only two people in your organization who can deliver a deposition or negotiate a buy-out, your company is in a precarious situation. What if someone has a heart attack or gets a better offer? A more equitable division of assignments will spread those skills around. Leaders should convene to identify the glamour work and the lower-profile work in their organization and whom is being assigned to each (here is a worksheet and meeting protocol to help). A third party — HR, Diversity & Inclusion, or someone else — should analyze the data and look for patterns, both company-wide and by individual supervisor. Are women doing less glamour work than men? Are there some supervisors who are great at giving everyone career-enhancing work and some who are struggling? Organizations can also consider instituting a formal assignment system if these simpler methods aren’t enough. Communicate to everyone what your company values — and then make sure your systems bear it out. If your company encourages activities like mentoring and serving on the diversity committee, make sure those things count when the time comes for promotions and raises. Avoid mixed messages—often companies say they value office housework tasks but then fail to do so. Lastly, but importantly, the goal of an equitable division of assignments needs to be communicated clearly and consistently from the top down. Tell your managers that you expect them to allocate assignments fairly. Set goals and hold managers to them. If managers and executives learn to better assign work, it could have a powerful impact on diversity — as well as retention and employee engagement. After all, if you’re stuck taking the notes or making the slide deck for someone else’s presentation, how can you show your stuff, get promoted, get that raise, rise to the top? And how will you find your job enjoyable and engaging if you never get a chance to do the exciting work? And a fairer assignment system isn’t good only for women and people of color. An introverted white man, who might not be the first one to raise his hand, will get a fairer shot at the best assignments. People raised with a no-bragging ethos, who wouldn’t knock down their boss’s door to pitch themselves, will also get a fairer shot. An equitable assignment system means that companies will be tapping into a broader talent pool — one that has been right under their nose the whole time, stocked with overlooked expertise. Lastly, a fairer assignment system may be one of the ways that companies give their overburdened, overworked, under-rested stars a break. It’s no fun feeling that you’re the only person on your team who can take on the hardest projects or the most demanding clients. If companies keep giving the glory work to the same handful of people, the probability that those people will become burned out and resentful will only increase. If we want to see a change in the diversity of our companies, we have to start including assignments in our diversity initiatives. We have to start paying attention to who is always procuring the conference rooms and who is always pitching the clients. Marina Multhaup is the Research & Policy Fellow for the Center for WorkLife Law at the University of California, Hastings College of the Law.